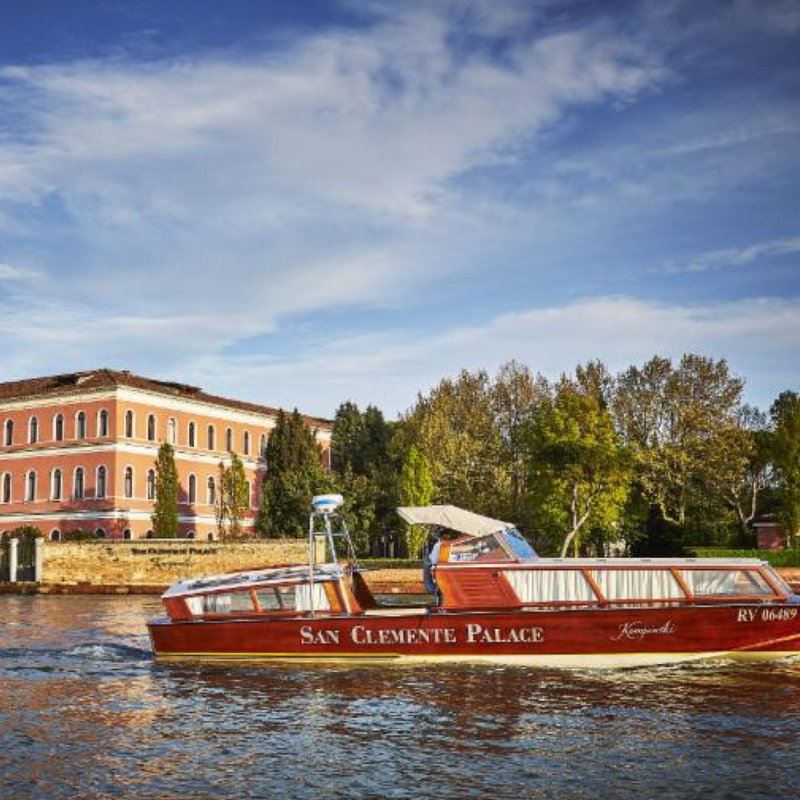 Posts tagged with "San Clemente Palace"
San Clemente Palace Kempinski, the luxury resort uniquely situated on its own private island in the Venetian lagoon, has opened a brand-new spa, the first ever spa partnership with the local luxury perfumery brand, The Merchant of Venice. Surrounded by lush gardens just a ten-minute boat ride from St Mark’s Square, the new San Clemente Palace spa occupies two floors and more than 4,000 square feet, including: a wet area comprised of a Finnish sauna, Turkish bath and emotion shower; an elegant relaxation lounge; a fitness center; and four treatment rooms with a menu that includes facial and body products from the high-quality brand Natura Bissé. The spa’s signature treatments and massages use oils created by The Merchant of Venice, based on ancient recipes from the Orient and incorporating such essential oils as sandalwood, jojoba and bergamot. 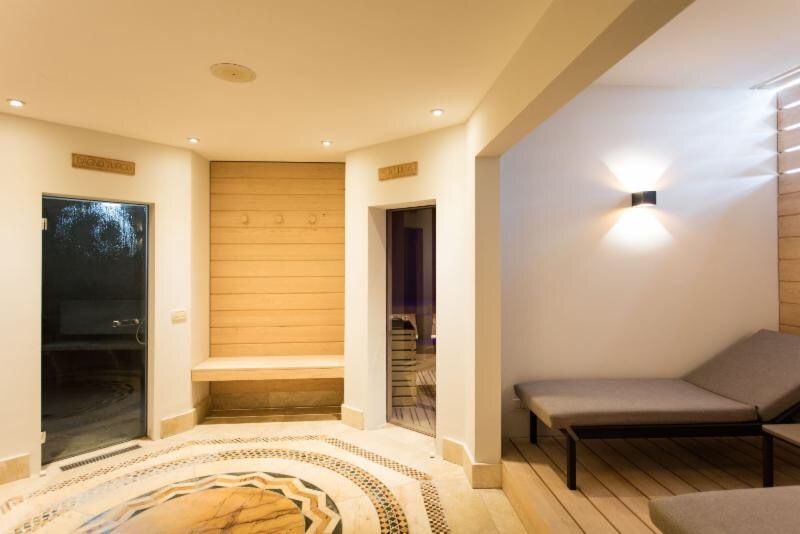 For the ultimate luxury experience, the Spa Suite provides 530 square feet of complete privacy, including a dedicated relaxation area, hot tub and a modern system that combines sauna, Turkish bath and an emotional shower. 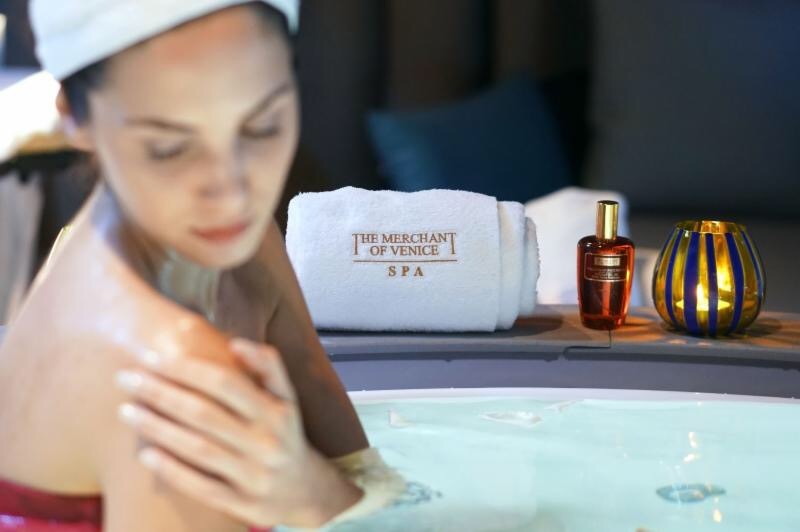 One of the spa’s signature treatments, Viaggio a Cipro per due (or “Voyage to Cyprus for two”), begins with a romantic rose petal bath, followed by a couple’s massage using essential oils from the Mocenigo rose, an ancient species introduced to Venice from central China. Another signature spa treatment is the “Splendor Anti-Age” mask, which consists of eleven 24-carat gold leaves, made by the Venetian craft workshop Mario Berta Battiloro for The Merchant of Venice Spa. In addition to the new spa, the centuries-old park of San Clemente island boasts one of the few heated outdoor swimming pools in Venice, a golf practice field, tennis court, a nearly one-mile jogging trail around the island with a panoramic view of the lagoon, and guided outdoor yoga sessions. 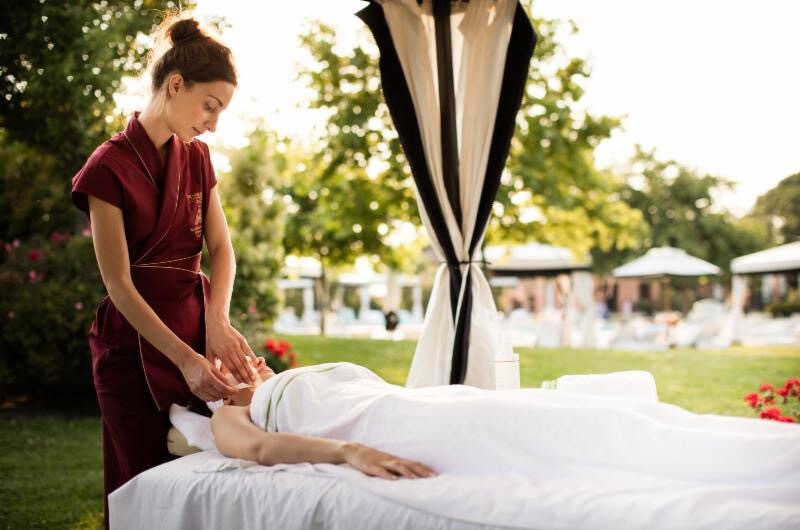 During the summer months, guests can indulge in the “Summerhouse Experience,” which combines the beneficial treatments of spa with the harmonious atmosphere of nature. 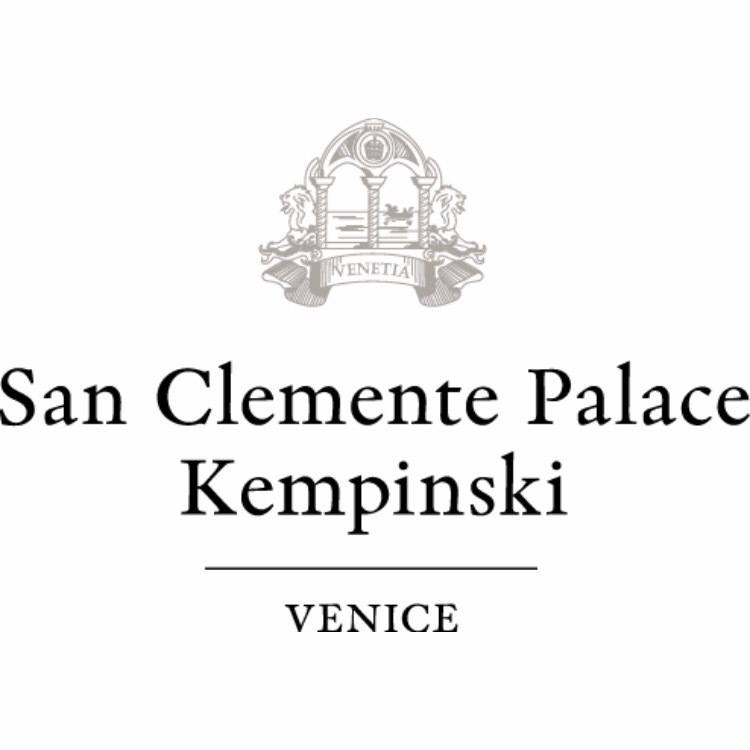 San Clemente Palace Kempinski Venice, a proud member of the Leading Hotels of the World, is an exclusive retreat of peace, tranquility and privacy, only ten minutes away from St. Mark’s Square by complimentary boat. As one approaches the island, the eye is caught by the impressive 12th-century church, a heritage from the monastic settlements that the island housed in the past. Set among a centuries-old park, the hotel has 190 rooms and suites that provide a stunning view of Venice and the lagoon, the lush gardens or the historical inner courtyards. Three restaurants and three bars cater for all culinary desires. Guests can relax and exercise in various facilities, including an outdoor swimming pool, a tennis court and a pitch and putt golf course, as well as a state-of-the-art spa and fitness room. This entry was posted in Uncategorized and tagged 360 Magazine, Boston, California, Chicago, culture, design, fashion, Global Society, Kempinski, London, Los Angeles, Paris, San Clemente Palace, Vaughn Lowery, Venice on June 20, 2017 by wp360mag.